The sculpture park in Changchun, China known as 'Changchun World Sculpture Park' is reportedly the largest in the world. Built in 2003, it is spread over 92 hectares of landscaped garden and includes an 11 hectare lake. The park also boasts of China’s largest sculptures Museum of Art whose pavilion covering an area of 6,000 square meters displays hundreds of African Makonde woodcarving and a large number of Chinese and foreign well-known sculptor of fine sculptures. 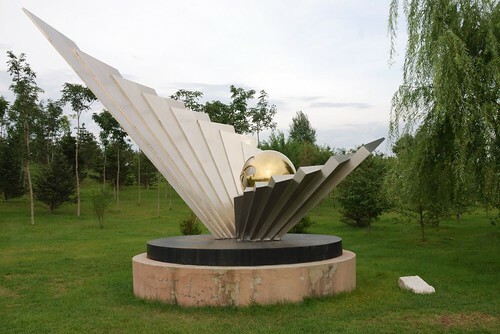 The park and the museum now have a collection of 439 pieces of sculptures made by 395 well-known sculptors from 212 countries around the world. The sculptures are not only multi cultural representing Western, Eastern, Indian, Mayan, Eskimo and other cultures but are of a wide range of art forms covering from abstract expressionism, to modernism or post modernism. In a sense it can be truly called a World Sculpture Park. 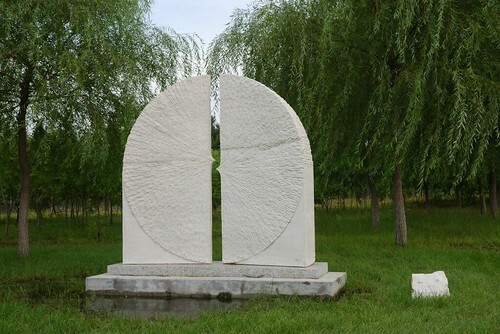 The main theme of the park - Friendship, Peace and Spring (Sculptor: Ye Yushan, Pan He, Cheng Yunxian, Wang Keqing and Cao Chunsheng). 29.5 metres tall, it won the award of “Outstanding Sculpture” at the 3rd National Exhibition of Urban Sculpture Construction. Image from Flickr is by RAGI! 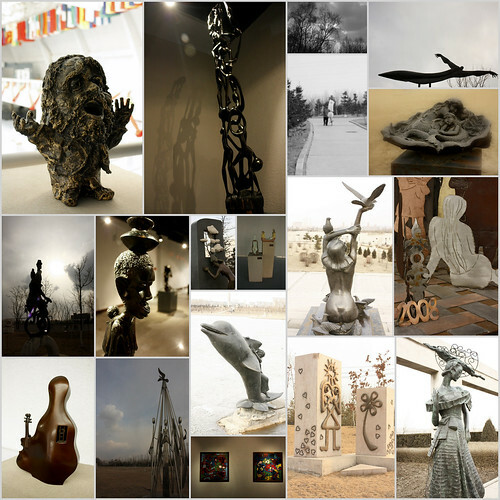 Official English Website of Changchun - A good collection images of 100 sculptures. Note: Since my computer cannot display Chinese alphabets/characters I have used Google Translation Tool to obtain name of the photographer/owner of the few images displayed in this post (marked with asterisk *). My apology, if any name is not correctly shown or spelt wrongly in English. Please let me know the correct name and I will rectify the mistake.